After two days stumbling through the restaurants of Hiroshima, taking my chances and consequentially not eating very well at all, a quick Google of ‘vegetarian Japan’ lead me to a rake of disheartening and downright negative articles explaining how uncommon vegetarianism is in the country. 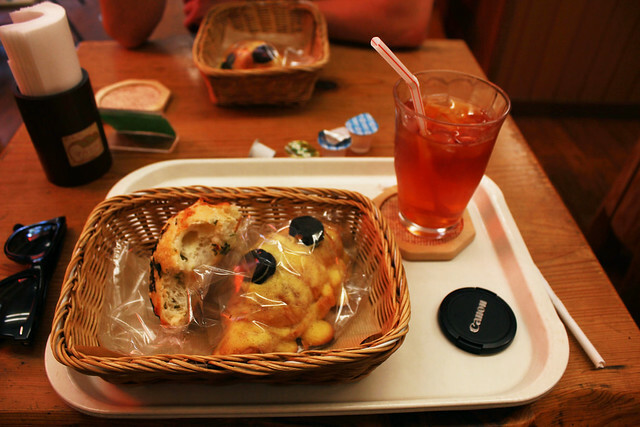 If the internet was to be believed I would be surviving on bread for the rest of my trip, the horror! However, I blog bearing good news. 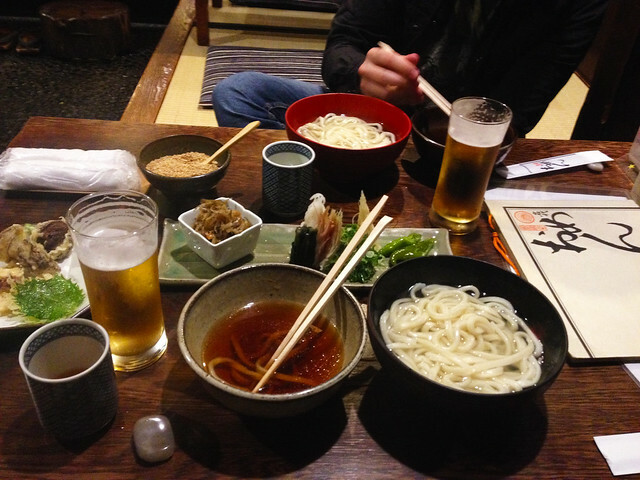 You shall go to Japan and you shall feast on excellent vegetarian cuisine including ramen, gyoza, and katsu, because I did just that. 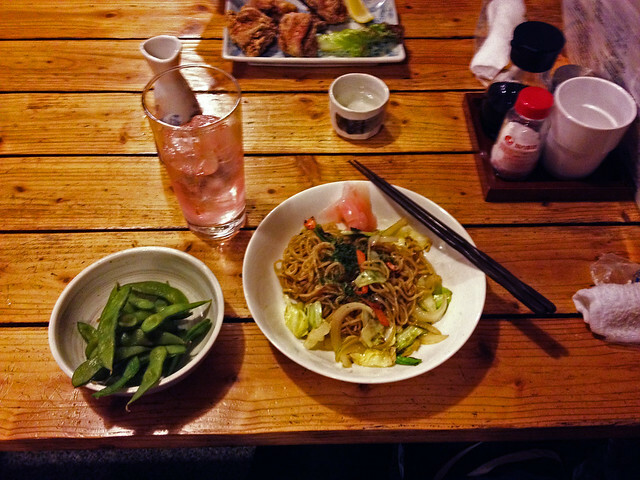 *IMPORTANT: In Japan vegetarianism is regularly understood as a diet that does not include meat but does include fish. When using the word ‘bejitarian’ if you do not eat fish, make it clear! I found that pointing to myself and saying ‘bejitarian’, then saying ‘sakana no, niku no‘ while shaking my head as politely as I could manage was clearer than my original mumbled phrase. In most scenarios their English is a lot better than your (my) Japanese. Plus I often gained some bonus/sympathy points for attempting a few Japanese words. I’m reliably informed that non-veggies might find them tasty too! This is one of the hard-truth blog posts I first encountered. 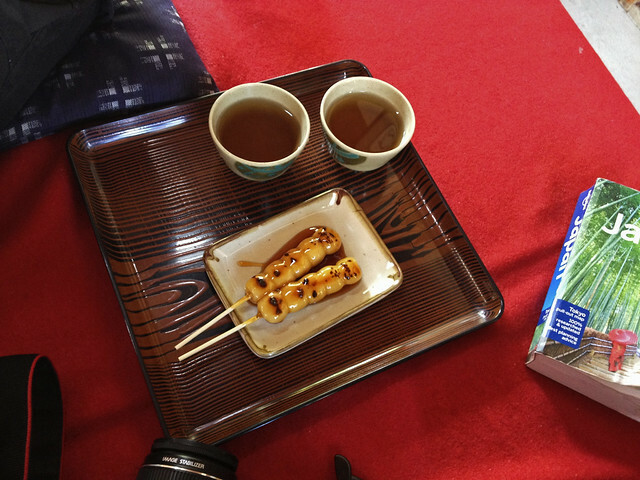 While it is more pessimistic than I think is fair, it is very enlightening as far as Japanese culture goes and weeds out many of the odd places meat might be hiding (jelly in coffee… what!?). More importantly you need to know the culture you are dealing with in order to be able to work around it so I found this article exceptionally helpful. These guys are so much more adventurous than I could ever hope to be. 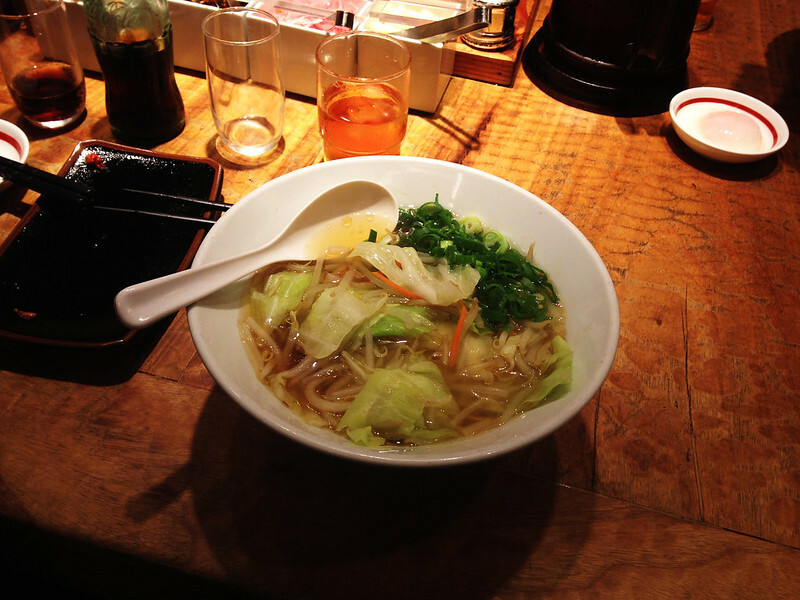 Here you’ll find an extensive guide to all the authentic Japanese food a veggie could eat. I didn’t try these myself but they could come in handy! This was our most used point of reference beyond our Lonely Planet guide book. You’ll find plenty of gems here. …except for one. I have a bad case of food envy at the best of times. After enjoying a tasty meal followed by cheese and crackers I was feeling pretty satisfied. Then the flight attendants passed through the cabin handing everyone lovely little tubs of Haagen-Dazs ice cream. Everyone that is, except me. I was stumped. My meal hadn’t been vegan? I thought I’d simply been forgotten and was mentally rehearsing the least awkward way to ask the air hostess for my wee tub of ice cream when she beat me to it. ‘I am so sorry, I almost forgot your dessert’ she apologised, offering me a plastic bag of Granny Smith’s. The disappointment on my face must have been fairly apparent judging by her sympathetic look and hasty retreat. Almost exactly the same scenario happened on the return flight (only this time it was Cookies & Cream instead of Belgian Chocolate, the cruelty!). Being a lacto-ovo vegetarian there are no problematic ingredients in Haagen-Dazs to my knowledge. If anyone has any info to the contrary please leave it in the comments. Moral of the story? Be prepared to be the only kid at the party who doesn’t get any ice cream. Lactose Intolerants I finally feel a smidge of your pain. * I’d recommend booking your meal by phone with the airline or your booking agent. I had some difficulty trying to do it via the Japan Airlines website but it was very straight forward over the phone. 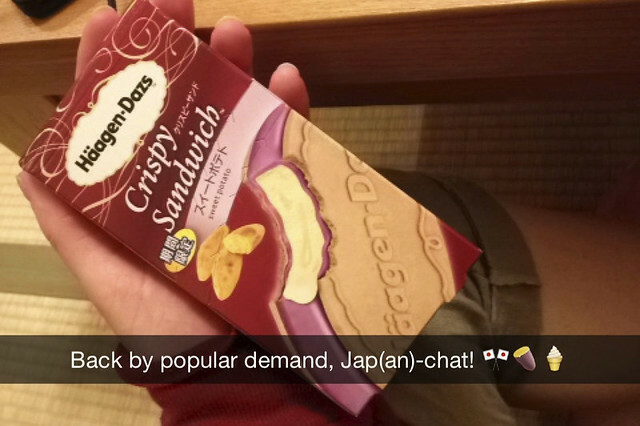 ^ I spent a significant portion of my time in Japan attempting to compensate for that first missed Haagen-Dazs. On a side note, sweet potato flavour is oishii! Check out the rest of my posts on Japan here. See all my Japan photos in my Flickr album.